Learning a new language is usually a fun experience. Portuguese is one of the best languages that you can opt to learn. This is because there is plenty of resources available that will help facilitate your learning. Some of these materials include textbooks – which have been curated with the sole purpose of helping you learn this wonderful language as smoothly as possible. 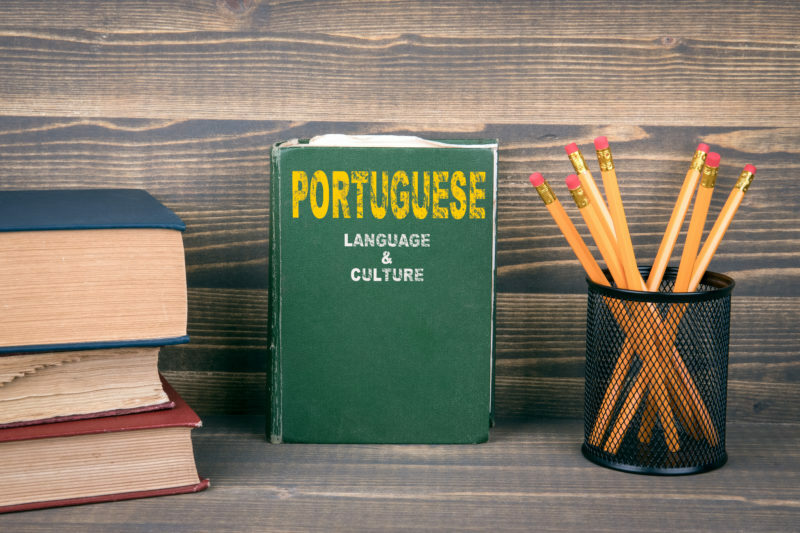 There are two types of Portuguese – Brazilian Portuguese and European Portuguese – and to get a better understanding of the language it’s better to learn both of them. As I mentioned earlier, there are numerous Portuguese textbooks that will help you learn this language. Before you go ahead and pick a textbook, it’s crucial that you consider what best suits you. If you have the will and the time, you can choose to learn both the Brazilian and European Portuguese. If it’s not possible you have to settle on the version of the language that suits you best and find a textbook that teaches that. It’s a bad idea to learn Brazilian Portuguese if you are looking to speak to a person in or from Portugal. For you to choose a “how to learn Portuguese book that suites” you, you also need to consider your purpose for learning the language. If you are learning the language of official use, your approach will be very different from someone learning it for general use. As a person learning the language for official use, you may need to write letters and reply to them eloquently. This means that you might need a textbook that takes the eloquent approach rather than the general use approach. This is one of the most favorable books for learning Portuguese. The book has 24 chapters and is applauded for its unique teaching approach. Each of the 24 chapters introduces you to a realistic situation. These are situations that you are likely to encounter in a Portuguese-speaking country. This book is also bundled with a CD. You get to first listen to the conversation on a particular chapter on the CD, and you get to relisten while going through the dialogue on the textbook. The book also highlights the vocabulary, grammar and cultural aspects in the conversation. This is meant to help you familiarize yourself with the language and help you handle a conversation in Portuguese in a similar situation. Through this book, you can quickly improve your skills in this language to match that of a Portuguese university exam. If you are looking for an affordable option to learn Portuguese, then this textbook is for you. This is because you can easily find the book used for a fraction of the original cost. Despite it being an oldie, it has one of the best learning approaches in this list. This book is so good that it is sometimes assigned in university classes. The textbook takes a unique approach of combining fun with learning making it easy for you to learn the language. You should note that this book is not very suitable if you are a beginner in Portuguese as a language. It’s perfect if you are looking to polish your skills in the language both for official reasons and if you are looking for eloquence. You need to have quite an understanding of the grammar in the language for you to take full advantage of it. This book focuses on Brazilian Portuguese you should also keep that in mind. Are you a beginner in the Portuguese language? If yes, then this pair of books is the right option for you. You can either choose the European version or the Brazilian version or even go with both depending on your preferences. This is the best book to start with if you are looking to advance your skills with, A Grammar of Spoken Brazilian Portuguese mentioned above. This textbook’s unique approach doesn’t employ terms like “conjugation,” “pronoun,” and “noun”. The textbook prefers to set up words together depending on how they provide meaning. Despite it seeming quite complicated, this method works enabling you to learn how to come up with meaningful sentences easily. The book is so popular today thanks to its superb success rate at teaching newbies this language. This textbook makes a name for itself thanks high quantity of lessons it offers. You can learn almost everything in the everyday Brazilian Portuguese language using this book. It comes with an audio CD and emphasizes reading, hearing and speaking to learn the language. This is not your best choice if you are looking to learn the language for official use, but it’s perfect for everyday communication. This “how to learn Portuguese book” is also very suitable for you if you are looking to replenish your skills in this language. Not only will it help you widen your understanding of the language but also master it. There are different editions of this textbook you can pick depending on your language needs. The “Essential Edition,” which offers only the opening materials is much cheaper. You can also purchase the online version if you prefer it. If you can understand the written Portuguese language, this textbook is all you need. The textbook teaches the language in Portuguese. This is why it’s imperative if you are picking this option, you have a prior understanding of the language. The textbook focuses on Brazilian Portuguese and teaches and shares the same teaching structure as the first book mentioned in this list. If you are looking to have a much more cultural understanding of Brazilian Portuguese, it is advised that you choose the earlier edition of the book. The cultural notes will prove invaluable in easing your understanding of the language. This textbook also offers notes on grammar at the end of every dialogue. This list is just but a few textbooks that could help you much in learning and mastering both Brazilian and European Portuguese. There are numerous other resources available you can take advantage of out there. Reading publications on newspapers or official sites is a good way of measuring your mastery of the language if you were learning it for official purposes. On the other hand, listening to Portuguese music and watching their TV shows and listening to their radio broadcasts has been proven to work if you are looking to learn Portuguese for general use.